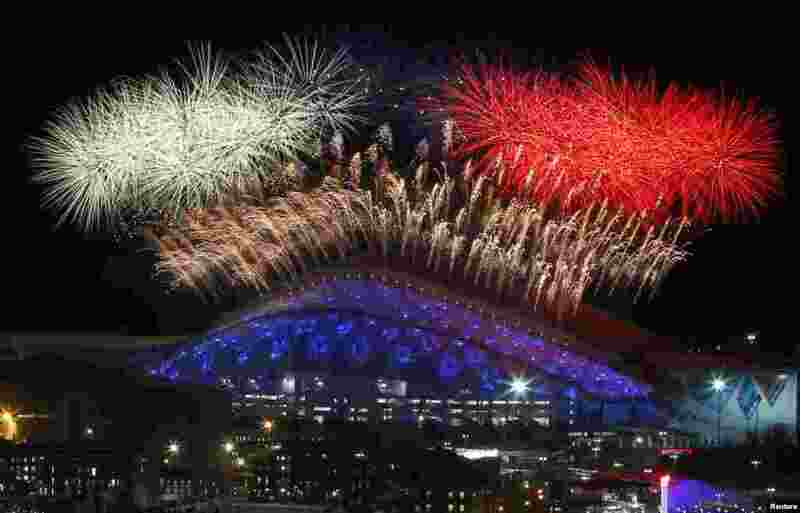 1 Fireworks are seen over the Olympic Park during the opening ceremony of the Sochi 2014 Winter Olympics, Feb. 7, 2014. 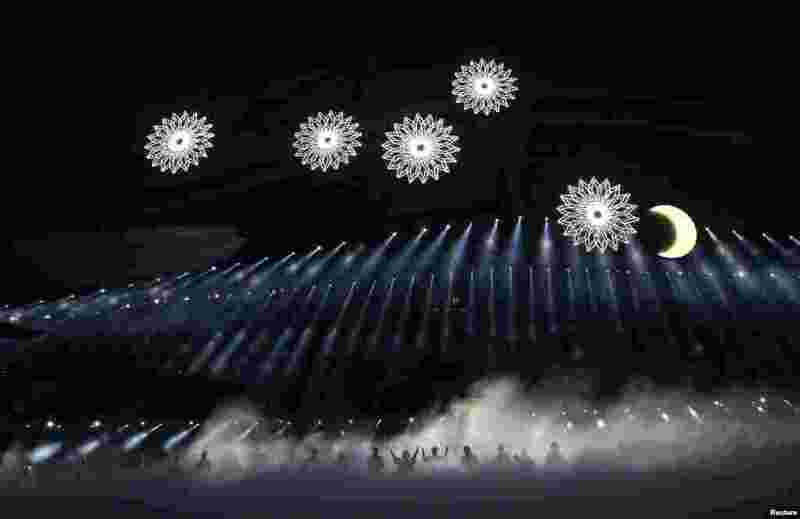 2 Actors perform during the opening ceremony of the 2014 Sochi Winter Olympic Games, Feb. 7, 2014. 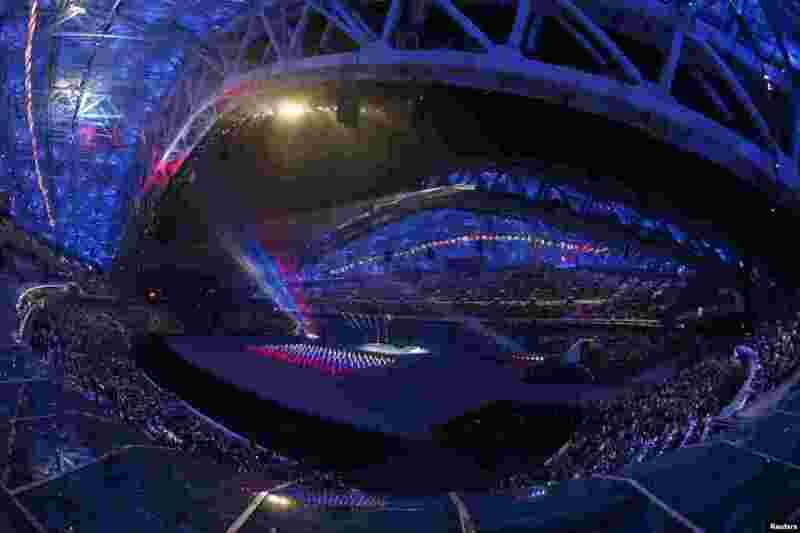 3 A general view shows a scene from the opening ceremony of the 2014 Sochi Winter Olympics, Feb. 7, 2014. 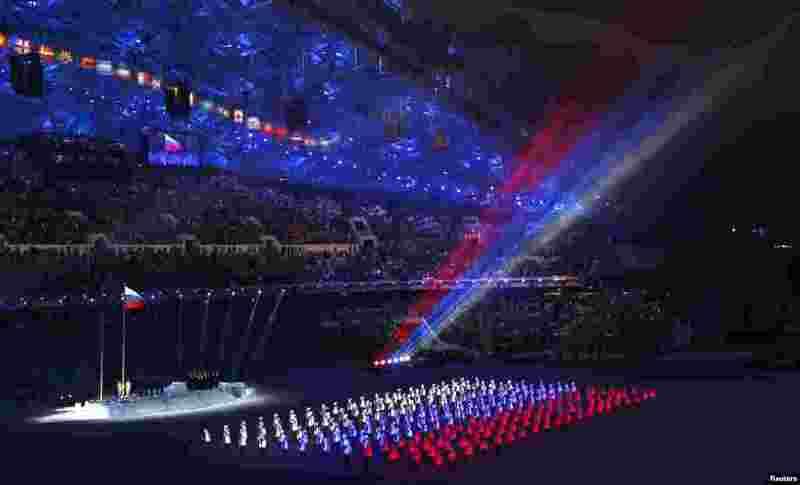 4 The colors of the Russian flag are seen during the opening ceremony of the 2014 Sochi Winter Olympics, Feb. 7, 2014.